Discovering new places and expanding your horizons is what traveling is all about. What if your anxieties prevent you from loosening up and enjoying your adventures? 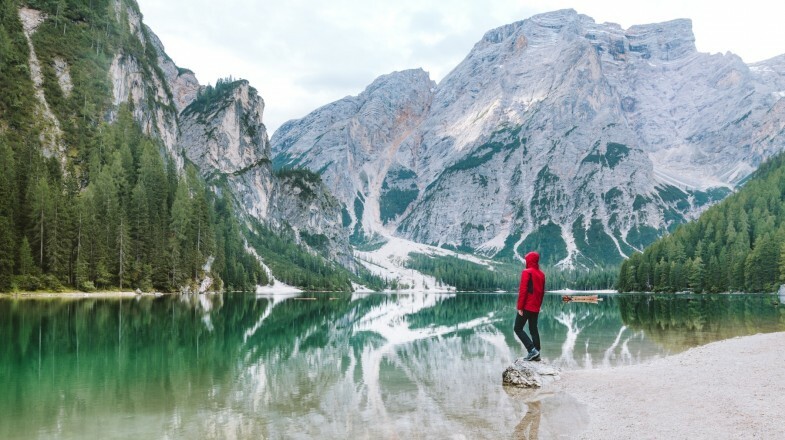 We know that every journey comes with its own set of worries, and the old adage prevention is better than cure rings especially true if you are out to explore. 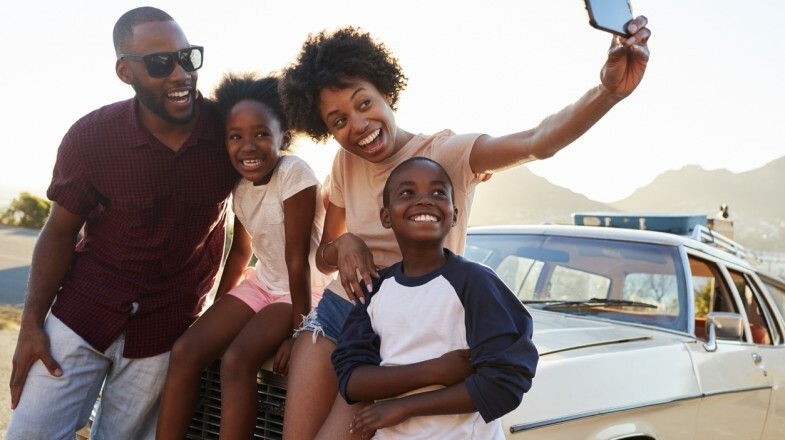 Ensuring some practical safety tips before and while you are on the road might just save you from glitches in your travel plans. 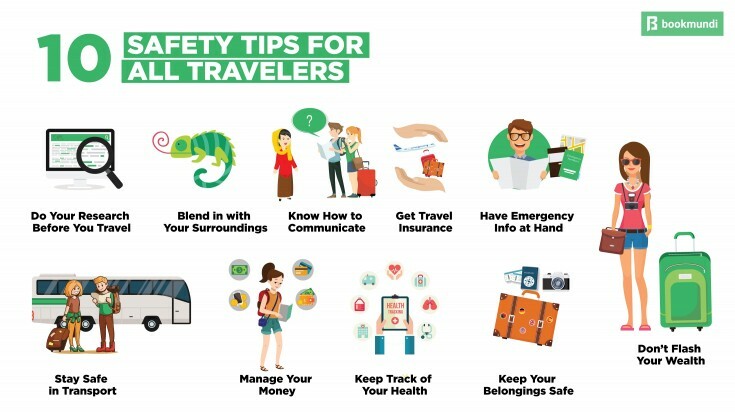 In this article, we discuss the common risks faced by all travelers, how you can stay safe irrespective of your traveling style and the 5 best travel safety apps that can ease your navigation for a stress-free and safe travel experience. 1. Health risks. Unwanted health issues are a top concern, especially if you are travelling to a country where diet and hygiene is vastly different to what you are used to. Conditions like stomach flu, vomiting and diarrhea can quickly ruin a trip. 2. Scamming. 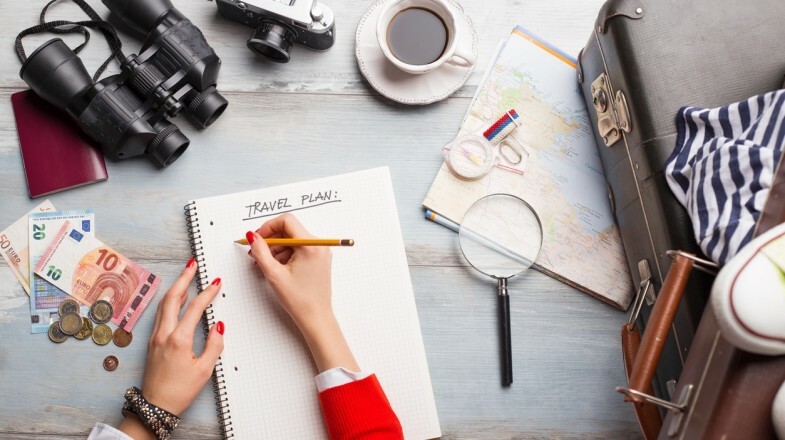 Travelers run the risk of becoming potential targets for scammers, especially if you don’t speak the language or are unfamiliar with the culture. 3. Theft. Nothing will spoil your globe-trotting shenanigans like getting your passport, money or other valuables stolen. 4. Violence. Travelers may find themselves getting caught in a violent crime, particularly if you are unaware of the locations that you are venturing into. 5. Transportation risks. Transportation problems can be another issue, especially if you are traveling to a country that is notorious for transport accidents, has complicated (or nonexistent) public transport schedules or is known for its traffic congestion. 6. Natural catastrophes. Depending on where you are travelling, disasters such as earthquakes, typhoons, hurricanes and other unforeseen natural disasters could arise. 7. War or political unrest. 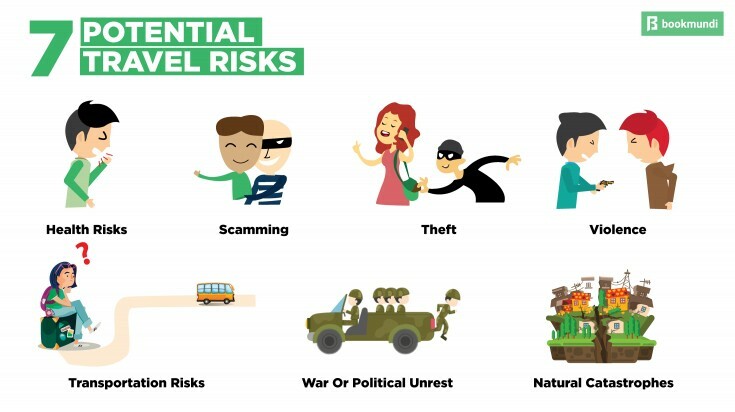 Although much less common than other risks, depending on the country or region you are travelling to, political risks could pose a problem. 1. Do your research before you travel. First rule of safe travel — don’t be ignorant about where you are going. Make an effort to learn about the country, the political situation, the cultural norms, the safest spots for travellers, safe accommodations to stay and the areas or regions that are best avoided. Head off on your trip with your eyes wide open to avoid surprises. 2. Blend in with your surroundings. Once you’ve done your research, you can start your visit to a new destination as if you were one of the locals. This is not only sound exploration advice, but a good safety tip as well. You’ll make yourself more vulnerable to con artists if you stick out like a sore thumb with your massive backpack, two cameras and confused look on your face. and you will draw much less attention if you make an effort to blend in. You also don’t want to disrespect or offend with improper dress or manners. If you’re visiting places of worship, make sure to dress modestly in order to prevent upsetting the locals. 3. Don’t flash your wealth. Whether this is with cash or expensive gear, showing wealth will only make you more appealing to scammers and pickpockets. Carry a dummy wallet with little cash in it so that you can give this in case you are mugged. 4. Stay safe in transport. Avoid air travel mishaps by frequently checking whether your flight has been rescheduled or cancelled. When using bus services, make sure to go with trusted companies that are have many reviews online. Moreover, try booking your tickets in advance whenever possible, so you don’t end up stranded on remote bus stops with no transport in sight. If you are hiring local taxis, agree upon the fare in advance in case the vehicle doesn’t have a meter. Also, carry a map with you to avoid getting lost. 5. Keep your belongings safe. Avoid carrying too many luggage pieces and invest in a small sturdy lock for your luggage. Try to choose one that doesn’t stand out, so it doesn’t appear as if you have something really valuable inside. If you have a hand-carry with you, never leave it unattended. Buy wallets that have RFID protection to avoid identity theft. 6. Get travel insurance. Regardless of whether you are a natural worrier or not, don’t hesitate to take out travel insurance. Not only will insurance cover any unexpected injuries and trips to the hospital, it can also protect you from theft or loss of personal belongings. 7. Have emergency info at hand. This should entail contact numbers for the local emergency services (police, fire department and ambulance) and for your country’s embassy (if there is one in the place you’re visiting). 8. Manage your money. If you plan on using your debit and credit cards, make sure to notify your bank in advance that you’ll be abroad, or you may find your card blocked for suspicious activity. Research beforehand where are the best spots to exchange your money into local currency as ATMs might be scarce in certain places. When out and about, always carry a small amount of cash with you. 9. Keep track of your health. Make sure to have a supply of any over-the-counter essentials like motion sickness pills, probiotics, pain killers and bug repellants. Consult your doctor and get the proper vaccines before traveling. Ensure that any prescription pills are filled for some days extra than the intended length of your travel. 10. Know how to communicate. Learn the basic emergency phrases like “I need help”, “Where is the nearest hospital/police station/embassy?” etc. in the local language. Before travelling, it is always good to make that last check before you head through the door. Here’s a quick list to help you dot the i’s and cross the t’s. 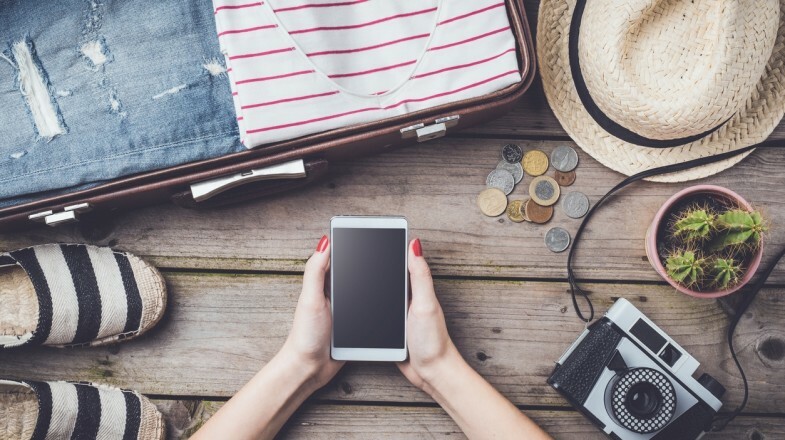 Make sure all of these are safely packed in your suitcases and backpacks, and you can rest assured your travels will be made easier and more enjoyable. 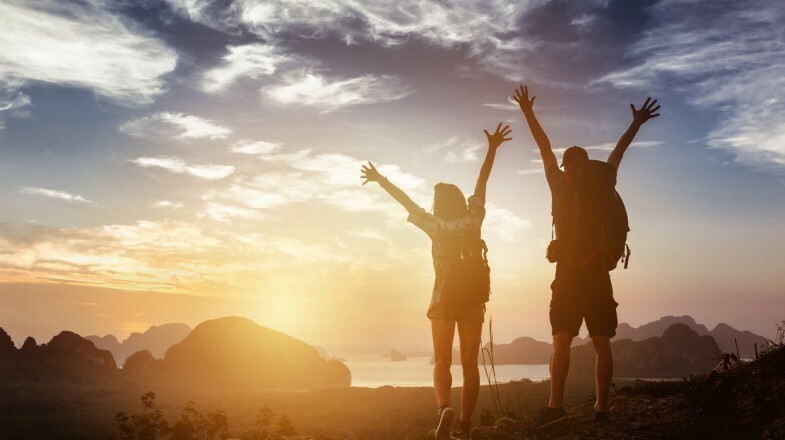 Regardless of whether you’re travelling on your own, among friends, with your partner or children, these practical tips and tricks will help give you peace of mind and allow you to fully surrender yourself to the joy and excitement of traveling. Now, hit the road! Next Next post: Affordable Photo Wedding Invitations – New Designs!